The whole concert on 1 CD for the first time ever. Bill Evans (piano), Marc Johnson (bass), Joe LaBarbera (drums). 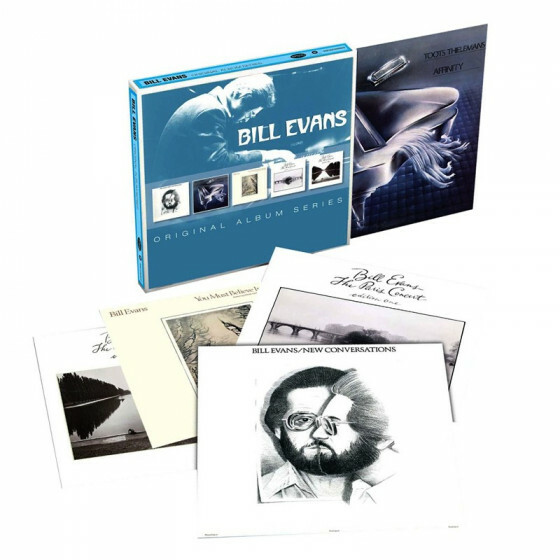 When the recordings compiled on this CD were made, very late in Bill Evans' career and life, he was ostensibly ill and he was to die just one month later, on September 15, 1980. It was his last recorded performance both in Germany and in Europe. By then Evans was playing with two young musicians: Marc Johnson and Joe La Barbera. It is marvelous indeed listening to this concert. The group proved to be very consistent, but it was to record only one studio album, called We Will Meet Again. Evans knew he didn't have much time left, so every one of his last performances showed a sense of reflection and full commitment. In the Bad Hönningen performance, most of the tunes are Evans's originals and some of them had been very recently added to the repertoire. Letter to Evan had been composed in 1979 for the fourth birthday of Bill's son, Evan.